Stephenson, Benjamin C. (1839–1906): Began as a civil servant writing for the theatre, using the pen name "Bolton Rowe." His biggest hit was the comic opera Dorothy, which set records for the length of its original run. In 1894, Stephenson co-wrote a melodrama with C. Haddon Chambers for the Adelphi, The Fatal Card, which ran for 167 performances and included William Terriss and Jessie Millward in its cast. Asked how he and Chambers collaborated, he replied. "We divide the labour. I write all the vowels and Mr. Chambers all the consonants." 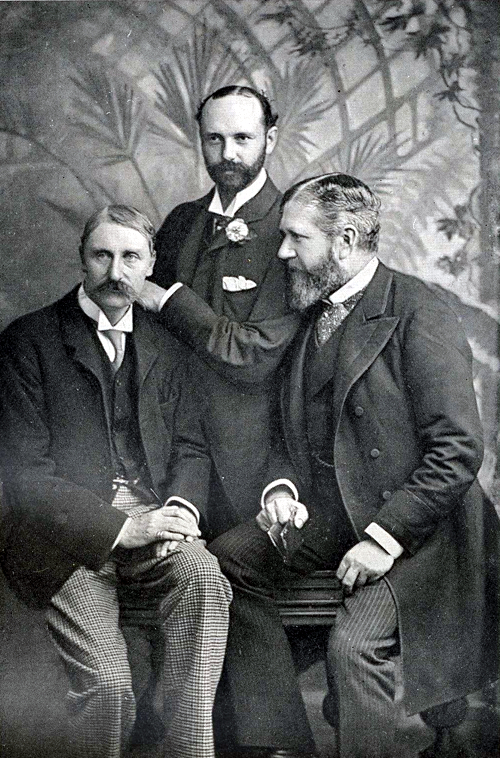 Benjamin C. Stephenson is on the far right.